The Presidential Office Building is located on Chongqing S. Road and facing Ketagalan Boulevard. On the back it is Bo'ai Road, on the left it is Baoqing Road, and on the right it is Guiyang Street. 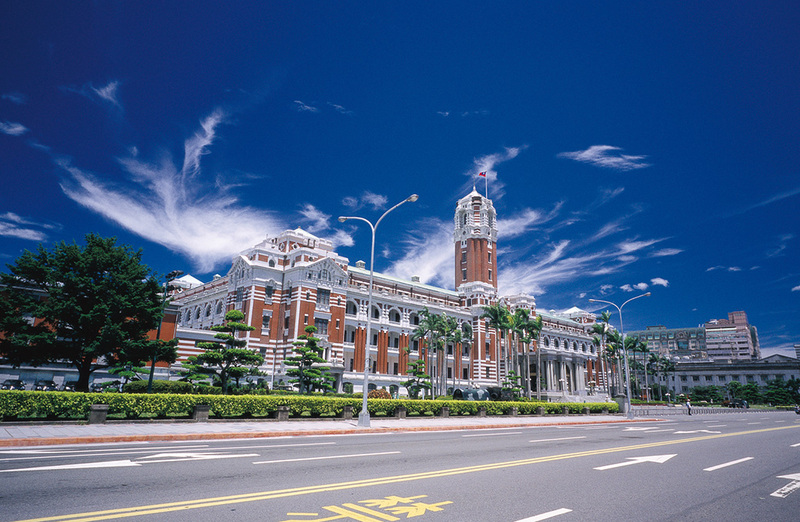 The Presidential Building is close to Taipei Main Station and Ximending. The building was built during Japanese colonization period. It was the governor's mansion at that time. 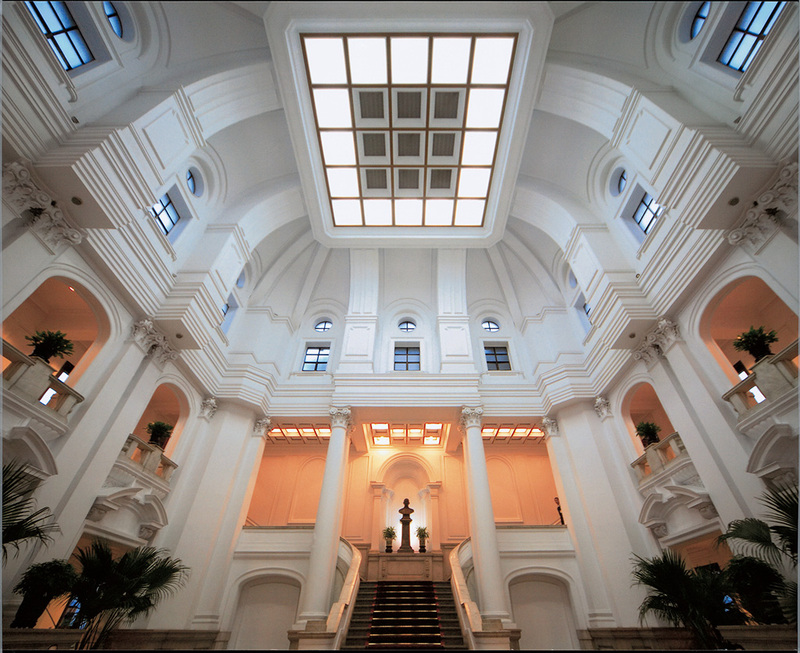 During the ending period of World War II, the building was seriously damaged due to bombing. 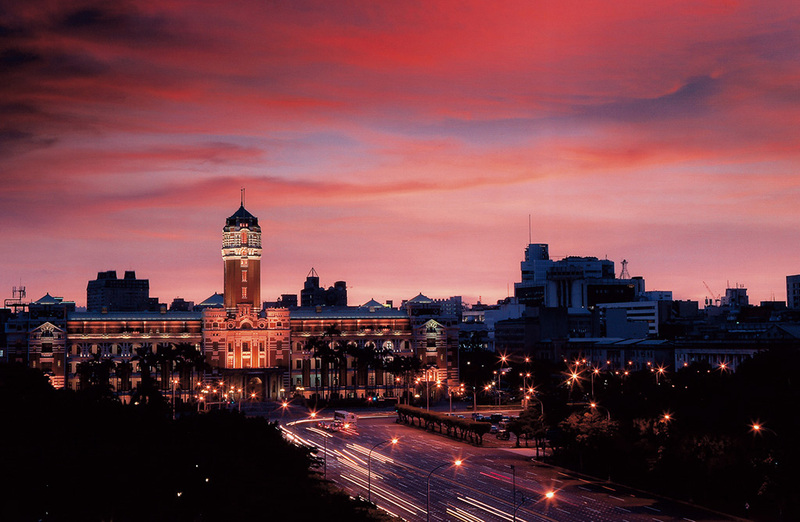 After Taiwan was reclaimed by R.O.C., the building was re-constructed in 1946. The building was re-named as "Jieshou Building" in celebration of the 60th birthday of former president Mr. Chiang Kai-shek. The building has been used as the presidential mansion after the central government of R.O.C. was re-instated in Taiwan. The main body of the Presidential Office Building is a five-floor structure and the central tower is eleven-floor high. The area is 6,930 square meters. The outer portion is covered with steel concrete. Gravel is used as decoration horizontally. A sense of grandeur and vigorousness is presented via the red-white composition. The Presidential Building was announced by the President as "national historical site" in 1998 and was open for public tour since then. The general public will be able to see in person the location where the president works. The distance between the President and his people will be shortened. After touring the Presidential Office Building, one can further visit the following interesting nearby sites: Taiwan Bank, NTU Hospital, Taipei Guest House and February 28 Peace Park. 1. Nat'l Hwy 1 → Exit at Taipei Interchange → Sec. 3 to 1, Chongqing N. Rd → Sec. 1, Chongqing S. Rd. 2. Nat'l Hwy 3 → Exit at Zhonghe Interchange → County Hwy 106A → Jing'an Rd. → Zhonghe Rd.- Sec. 1 to 2, Yonghe Rd. → Zhongzheng Bridge → Sec. 3 to 1, Chongqing S. Rd. Take MRT to NTU Hospital Station or Ximen Station, then walk 15 mins to Presidential Office Building.